I love fresh bread… but I don’t always love the time it takes to prepare it! Which is quite the conundrum since cooking for the freezer is one way we can be more efficient in the kitchen! How do you freeze biscuits? Bread? Cookies? Do you bake it first? Or just freeze the dough? What about the rises? What about dealing with yeast? Will my bread still turn out the same? Is freezing bread going to be a big waste of time, money and energy?!?! Crumbs has teamed up with Hodgson Mill this month to bring you simple baking recipes even the novice baker won’t be scared of, helping you get over your fear of yeast and showing you how to save both time and energy in the kitchen. I’ve wondered all those questions myself, so I did some research, a little bit of experimenting (hello delicious cookies!) 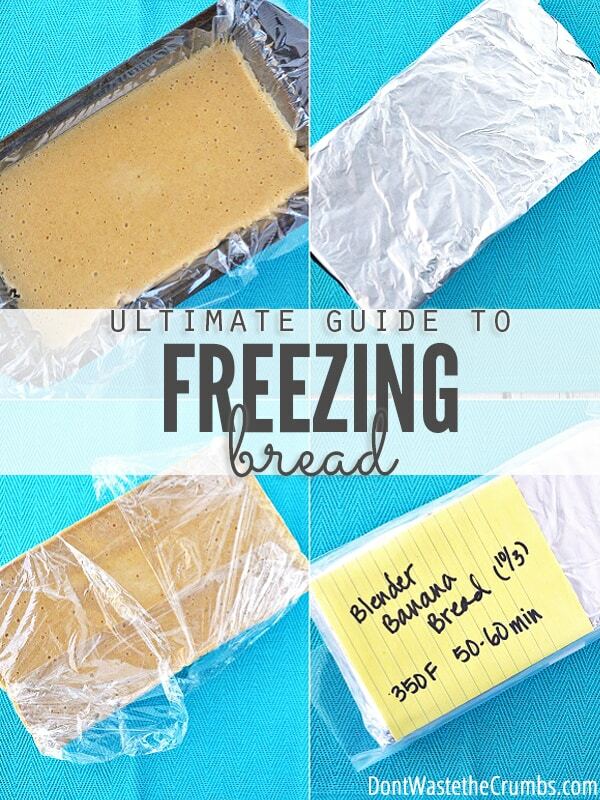 and created the Ultimate Guide to Freezing Bread, Dough and Other Baked Goods. You’ll want to save this post for reference later for sure, because we’re leaving no stone unturned to stock our freezers full of delicious home-baked goodies!! Prepare recipe as directed through the shaping step. Place on a non-stick baking sheet, cover with plastic wrap and freeze overnight. Remove to a bag/container for storage. To bake, remove desired number of biscuits and add 2-3 minutes to the baking time. Note that every biscuit recipe is different, so if your biscuit does not rise well when you go from freezer to oven, try letting the biscuit thaw for 30-60 minutes before baking. Prepare recipe as directed, but do not roll out. Instead, gather crust into a ball and wrap with plastic wrap. Place in a freezer-safe container and freeze. To bake, allow dough to thaw overnight in the refrigerator. Roll out as usual. Another option is to prepare the recipe as directed AND roll out into a pie plate. Freeze both plate and dough in a freezer bag, remove excess air and freeze. To bake, place frozen pie crust into the oven and add 2-3 minutes to the baking time. No need to thaw first. Prepare recipe as directed. 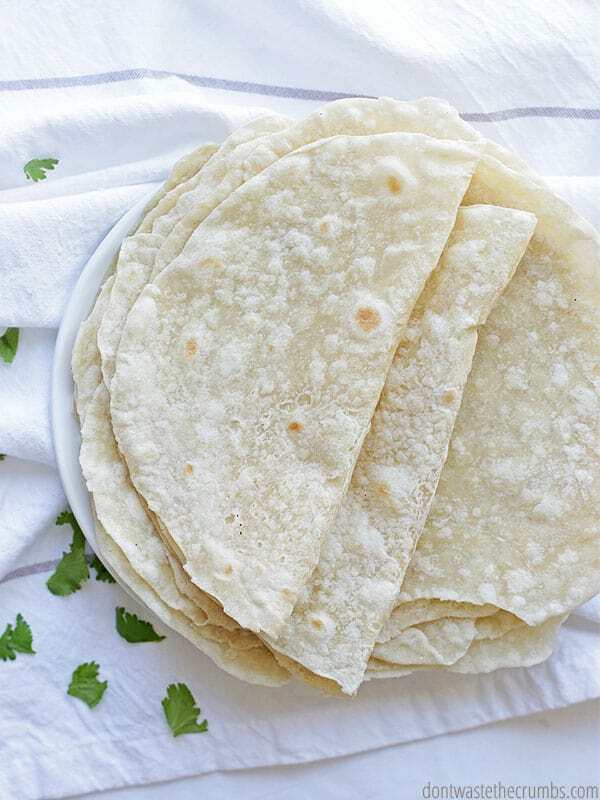 Allow tortillas to cool completely. Freeze for 1-2 hours. Place items in a freezer-safe container and return them to the freezer. Prepare recipe as directed through the first rise. 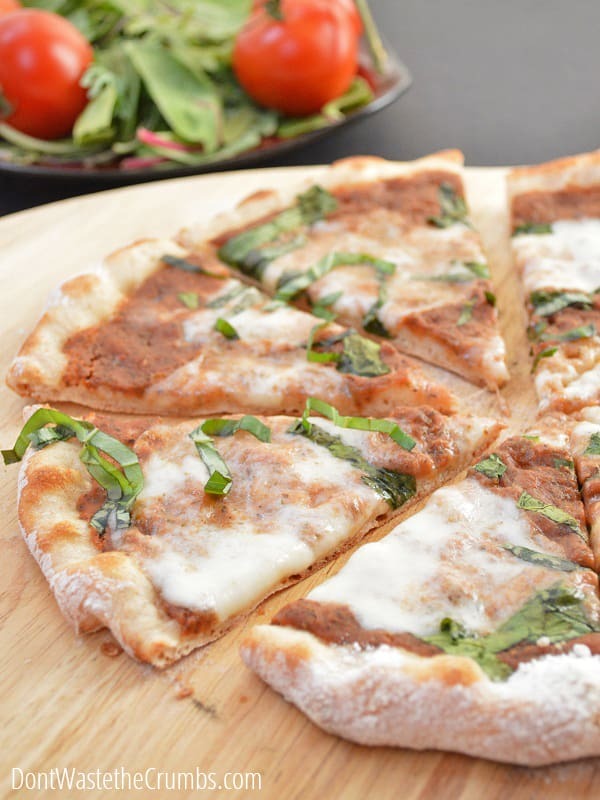 Divide the dough into desired portions, wrap loosely in plastic wrap, place into a freezer-safe container and freeze. To bake, allow dough to thaw overnight in the refrigerator, or for 2-3 hours at room temperature. When dough is thawed, roll out into rounds and proceed with the remainder of the recipe. To bake, allow dough to thaw overnight in the refrigerator, or for 2-3 hours at room temperature. Roll out as usually and proceed with the remainder of the recipe. Prepare the recipe as directed through the first rise. Punch down and shape into loaves. 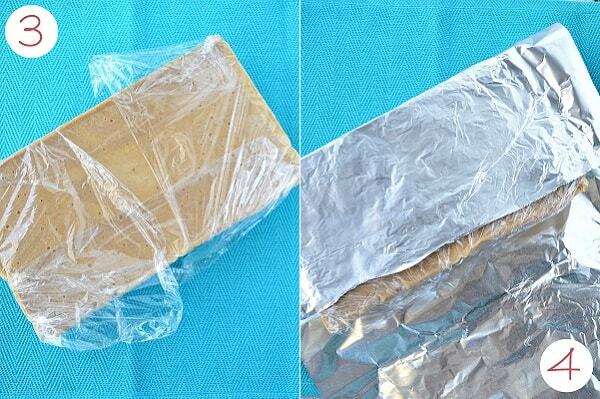 Line your baking pan with plastic wrap, place shaped loaves into the pan and freeze overnight. Remove from the baking plan, wrap with the plastic wrap, place in a freezer-safe container and freeze. To bake, place frozen loaves into the same baking pan, greasing it first. Cover with the same plastic wrap or a towel and place in a warm place to thaw and rise until doubled in size, approximately 4-6 hours. Watch the dough, as the time for this will vary depending on the environment. As soon as the dough has completed its second rise, bake. Note: If your bread falls during the baking process, it rose too much during the second rise. Because of this, it’s not recommended to thaw these types of dough in the fridge. If preparing rolls or buns, follow the same instructions as above except shape into rolls and bake on a baking sheet. Remove frozen rolls to a freezer-safe bag for storage. Once baked, allow bread to cool completely. Slice the loaves as desired and wrap the entire loaf in plastic wrap, and then place in a freezer-safe bag for storage. To eat untoasted, remove desired number of pieces and allow to thaw up to 5 minutes. There is no need to thaw if you want to eat the bread toasted. Alternatively, you can freeze whole loaves of bread without slicing first. I find the bread to be more crumbly if I slice after freezing, so I would suggest using this method on non-sandwich loaves. Prepare recipe as directed. Line a loaf pan with plastic wrap, pour batter into the pan and freeze overnight. Remove batter from the pan, wrap with plastic wrap, place in a freezer-safe bag and freeze. 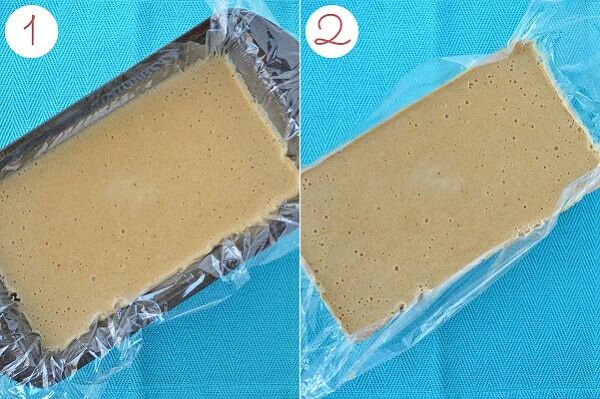 To bake, remove frozen batter from the plastic wrap and place in the same loaf pan originally used, greased first. Place in the oven and bake as directed, adding 5-10 minutes to the baking time as needed. Alternatively, you can place frozen batter in the loaf pan and allow to thaw overnight in the fridge. Proceed with baking times as directed on the recipe. 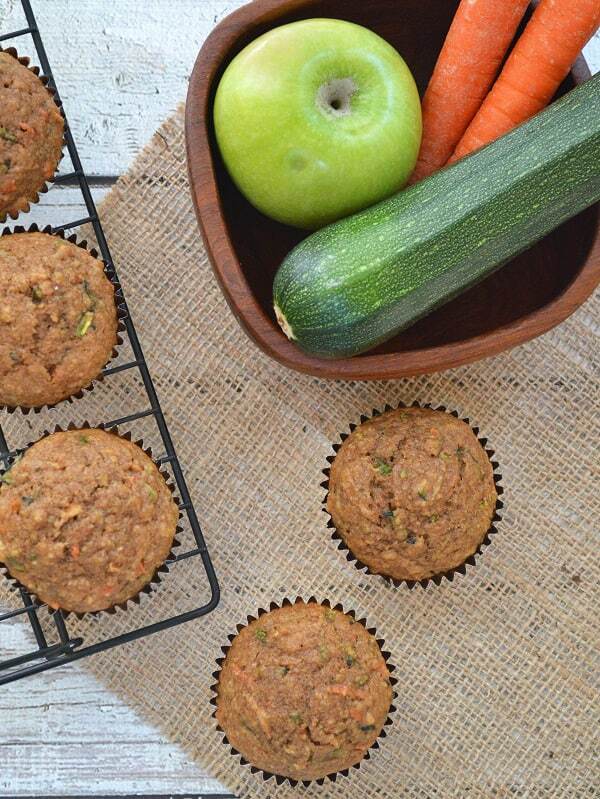 To freeze muffins, line a muffin pan with silicone muffin liners and pour batter into the cups. Freeze the entire pan, with the liners in place, overnight. Remove individual frozen muffins and store in a freezer-safe container. To bake, place lined muffins into the muffin tin and bake as directed, adding 5-10 minutes to the baking time as needed. Alternatively, you can thaw the lined muffins in the muffin tin overnight in the fridge and bake as directed. Once baked, allow bread to cool completely. Slice the bread into pieces as desired and wrap the entire loaf in plastic wrap, and then place in a freezer-safe bag for storage. To serve, remove desired number of pieces and allow to thaw up to 5 minutes. For muffins, remove desired number of muffins from the freezer and allow to thaw at room temperature for up to 5 minutes before eating. Prepare recipe as directed and pour into a freezer-safe bag. Remove excess air and freeze. To use, thaw batter overnight in the fridge. Snip off the end of the bag and pipe pancakes on a preheated griddle, skillet or waffle iron. Prepare recipe as directed and allow food to cool completely. Place items on a baking sheet, in a single layer. Freeze for 1-2 hours. Place items in a freezer-safe container and return them to the freezer. Prepare recipe as directed. Scoop cookies onto a cookie sheet and freeze for 1-2 hours. Place items in a freezer-safe container and return them to the freezer. To bake, remove desired number of cookies and bake according to the recipe directions, adding 2-5 minutes as needed. For slice-and-bake cookies, prepare the recipe and shape into a log as directed. Freeze the log a freezer-safe bag. To bake, allow dough to warm to room temperature so you can slice without cracking the dough. Slice and bake as directed. For cut-out cookies, prepare the recipe and shape into discs. 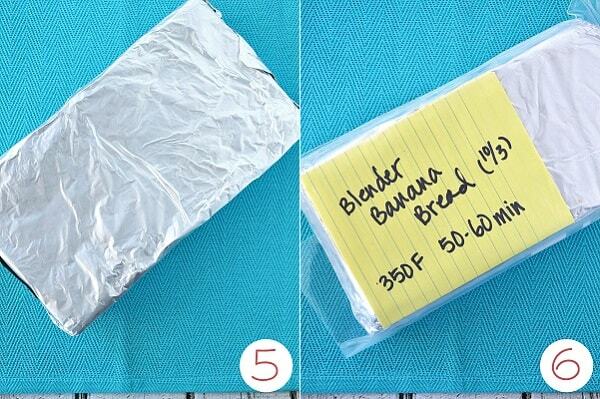 Wrap in plastic wrap and store in a freezer-safe bag. To bake, allow dough to warm thaw overnight in the fridge in the bag. Then allow to come to room temperature until warm enough to roll out and cut. Cookies: Prepare recipe as directed and freeze in freezer-safe bags. To serve, thaw at room temperature, still in the wrapping. Brownies: Prepare recipe as directed but do not cut into servings. Double wrap and freeze. To serve, thaw at room temperature, still in the wrapping. Once thawed, cut into serving sizes and serve. Cakes: Prepare the recipe as directed and place in a air-tight container. To serve, thaw the cake overnight in the fridge. Then allow the cake to come to room temperature for a few hours before serving. Note: If possible, freeze cupcakes or cakes unfrosted. You can frost them once they have thawed in the fridge, and then again thawed at room temperature. Whenever possible, freeze foods unbaked so that they can be baked fresh for optimal flavor. Wrap foods twice if they will be frozen for longer than two weeks, in order to prevent freezer burn. Use a combination of plastic wrap, aluminum foil, freezer-safe bags and containers. Remember that your second layer can be re-used over and over again. Remove as much excess air as possible whenever freezing. This maintains freshness in the taste of your foods. Always label your food with the label visual on the outside. A piece of paper between aluminum foil and plastic wrap, sharpie on a freezer-safe bag or masking tape on a container all work well. Freeze on a non-stick surface when possible. Lining your pan with parchment paper will help to prevent the food from sticking to the pan as well. In general, dough with yeast turns out better after it has gone through one rise before freezing. Adding an extra teaspoon of yeast will help make yeasted dough rise better on the second rise. I was stumped for the longest time on how to make dishes in a pan and freeze them, without having to keep my pan in the freezer too… I mean, I only have so many pans, ya know? Not only is there limited freezer space as there is, but what am I supposed to cook with if everything is in the freezer? Step 1: Line the pan with plastic wrap. Pour batter into pan. Freeze. Step 2: When batter is frozen, lift out of pan. Step 3: Wrap frozen batter with plastic wrap. Step 6: Place in a freezer safe container (I used a plastic bag) and label. My label is in the bag, but not wrapped up along with the batter. Do you need more meal plans and ideas for making freezer meals for your family? Checkout the Freezer Family Bundle where all the hard work has been done for you! Their plans even include grocery lists, so you can easily fill your freezer with quick, healthy, budget friendly food. That’s a win, win, win in my book! How familiar are you with freezing baked goods? Did I miss any important tips? Please share them in the comments below! I am used to doing cookie dough and biscuits but WOW, you really opened my eyes and caused me to rethink some things! Why do I make sandwich bread (both kamut and gluten-free) twice a week? Why do I make banana bread or cinnamon raisin bread every 10 days or so? Dinner would be so much easier with tortillas waiting for me in the freezer instead of making them every time! I freeze unbaked muffins but never even thought to freeze unbaked sandwich bread or quick bread! You have just caused my time in the kitchen to go down dramatically! Now I guess I need to clean out my freezer so I can store it all! I am a senior citizen, well, that’s what ‘they’ gave me title and this is a wonderful post for everyone that needs to have their mind renewed or a new learning post. I am in wonder how you are able to so freely share it. Just saying thank you as much as I can through comment. You are a valuable asset to other peoples lives. I so appreciate your postings. Thank you for leaving such a kind compliment (you made my day)! I love being able to use the gifts God’s given me to bless those around me! Glad you found this post helpful. This post is so timely! I’m new to baking my own bread, but my family is loving it, so I’m working it! We like the easy oat bread recipe, but I’m having trouble getting non-crumbly slices for sandwiches. I did leave out the vital wheat gluten (just didn’t have any). Would that help? Any suggestions or secrets for the newbie? Thanks!! There is no naturally occurring gluten in oats. Gluten is what holds the bread together, like a rubber band. Take out the gluten and it’ll fall apart. 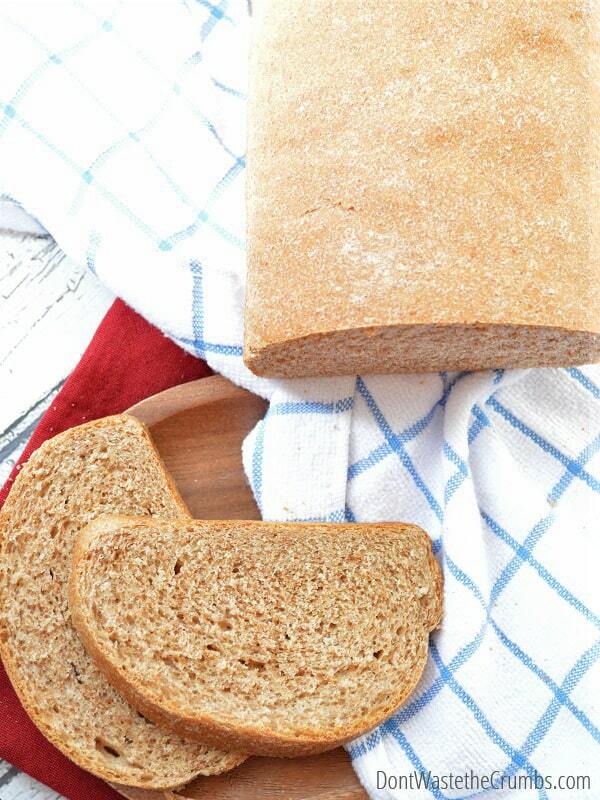 Adding the vital-wheat gluten will definitely help you bread come out better! Give it another try and let me know how it turns out! I freeze cooked pancakes and waffles all the time. The trick is to let them cool completely on the counter before freezing or they will stick together. After they are cooled completely then place into a ziplock bag and freeze. When you want to reheat pull apart as many as you want and pop into the toaster to reheat. Aha! Great tip Cindy – thank you for sharing!! I use this for many things including bread and meats too! I hope that helps. Thanks for the great tip Cheryl! Thank you so much for posting this. With eight children I pretty much have to bake every day, but sometimes I just want to have quick breads in the freezer when I’m too tired. This will be helpful in knowing how to go about freezing baked or unbaked muffins, pancakes, tortillas, etc. You’re most welcome Jennifer! I’m glad this helps you! 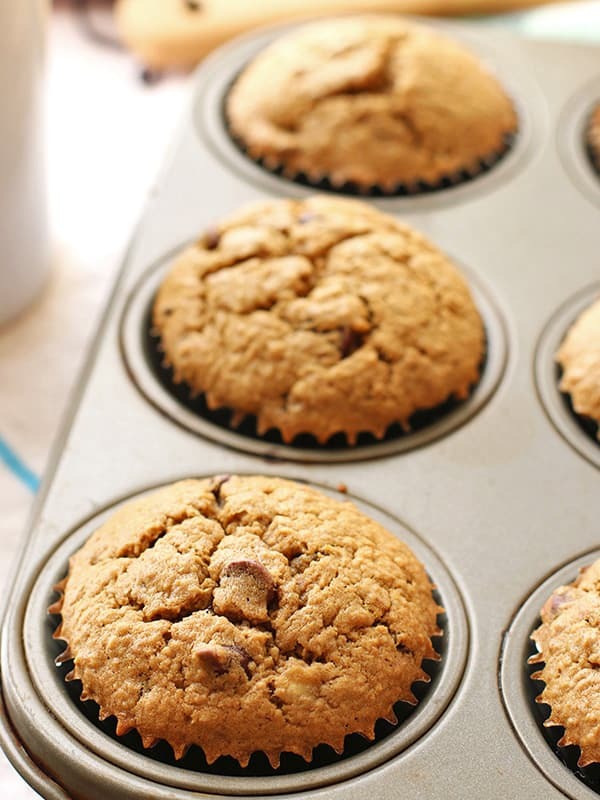 Can you freeze unbaked muffins using paper liners in the tins instead of silicone? Your helpful tips encourage me to bake. I’ve been reading on store bought bread and other baked goods’ ingredients and I really think making it at home is far better but came to a stump when I didn’t know how to go about doing it. This is a very helpful article and I knew it would help me and before reading it I signed up for your newsletter. Thank you for sharing your knowledge and I know God will bless you back a hundred fold. Perfectly moist banana bread. Used 3 reg bananas, could do even 4 if desired! Will try toasted pecans with next. TY for sharing. You can also use a home vaccum sealer to freeze your breads,muffins,etc…. just freeze them first in their pans or on a oookie sheet for an hour or two, then vaccum seal them. They will last much longer this way and you can make more of the recipe to freeze for later use. Great tip Angela! Thanks for sharing! I love this post! It pulls together all the different types of baked goods in one place and is such a handy reference! I remember when I was newly married and bread was going off before we could use the whole loaf. Then a friend told me I could freeze a whole sliced loaf and take out only the number of slices I needed for that meal — magic!! I’ve been keeping my bread in the freezer ever since. Whenever we want a couple of sandwiches, I take out 4 slices about a half hour before we plan to eat. While I am making the soup (or whatever else we are having), the bread defrosts and is ready. In the mornings, we take the frozen slices out of the freezer and just pop them directly into the toaster (as another commenter does with pre-made pancakes and waffles) — no defrosting required and no more bread, rolls, etc, in the bin. What a money saver, especially for single people or two-person households. Thanks again for this post! Can crackers like wheat thins be frozen? Any ideas on the best way to freeze them? You know, I don’t think I’ve ever frozen crackers before. Hopefully someone else can chime in! Yes! Yes! Crackers and even potato chips can be frozen. (Who knew? LOL.) I made a batch of homemade cheese crackers and they were actually even taster/crisper when they were frozen. The only problem is not eating them all before I can freeze some! If you are making the crackers from scratch…bake them first, let them cool/dry completely…and then simply stick them in a freezer safe container or sealed bag. My favorite freezer container is the FoodSaver bags. Worth every penny for the machine and if you buy the roll of plastic “sleeve” instead of the pre-cut bags…you can cut it a little longer than you need, and then re-use it. (You have to add a little…because you will lose some length when you seal it.) I have successfully used bags at least three times without any loss of plastic durability. Another freezer tip…go to the dollar store and get a few $1.00 plastic bins and stick things like bags of rolls, or crackers, or anything “not flat/stackable” in them. This will eliminate an avalanche of frozen packages attacking you when you open the freezer door, and you can label your bins (“veggies” “breads” “soup stocks” etc.) so everything is easy to find. You can even get crafty and make pretty labels if you are slightly obsessed like I am about things. I am 79 years young and still do all my own baking and home made bread to share with friends. with your helpful hints now I can bake fresh a lot more . thanks again and God Bless Barbara. hi! I have a question and it is how long it last (frozen) this things in the freezer? If you freeze it correctly, items can last up to a year safely in the freezer! Late to the thread, but is this 1 year number still good for yeast breads? Is yeast die-off a function of time in the freezer or just a result of the initial freezing? I’m thinking of freezing on the order of 6 months, but I saw another blog say only 4 weeks, which wouldn’t work for me. Thanks for this super exhaustive post, btw! Hi Kirsten – yes, one year is still good for yeast breads. The yeast has done its duty once a loaf of bread is baked, so you don’t have to worry about the yeast not doing its job. 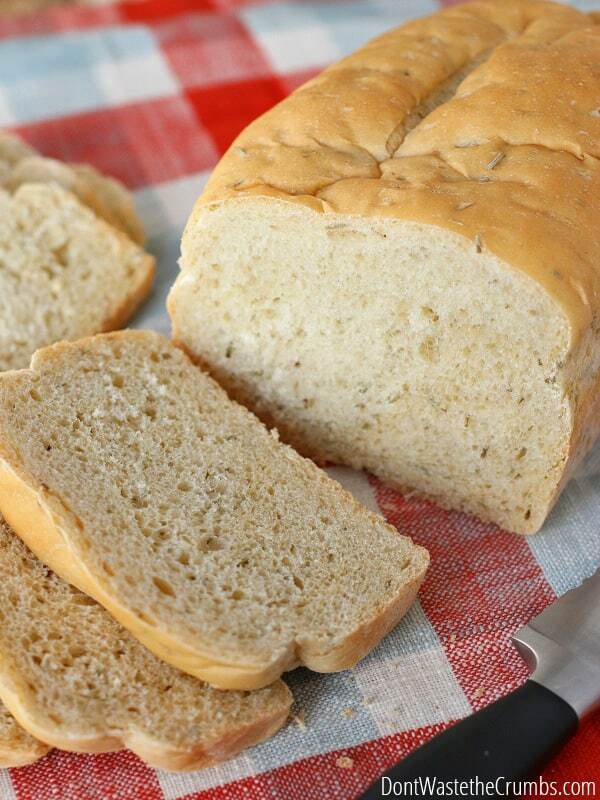 You can definitely freeze baked bread for 6 months – just be sure to wrap it well! Just to chime in here on the subject of yeast. I buy blocks of baker’s yeast and there’s far too much in a block to use before it goes off. What I do is cut it into the portions I need, wrap each portion in a twist of cling-film, then freeze these. I just take one out when I need it, and it can be used almost immediately by dropping in a jug, adding the required amount of lukewarm water and sugar, and just allowing to froth as usual. I have yeast that is over a year old which is working perfectly. Oh man! I love this! 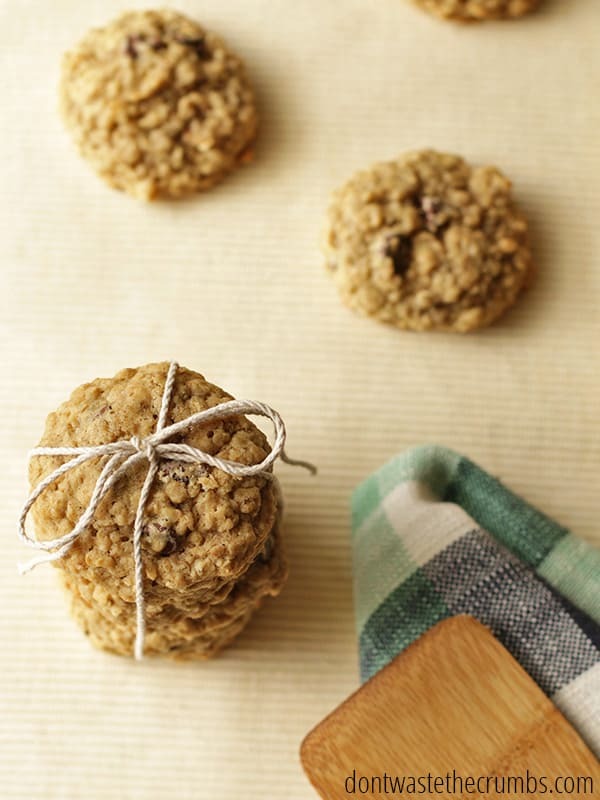 I already freeze a few baked goods (hubby LOVES getting a fresh cookie in his lunch everyday!) but this is an awesome reference for the items I bake a little less frequently. Thanks so much for your time and effort in this! Thank you for the time it took to compile this information. I freeze anything and everything and I found that if I intend to only use a few slices of frozen, baked bread at a time, a small piece of parchment paper between the slices ensures that they separate with greater ease. Thank you again for such a comprehensive guide. WOW! This is awesome! I made something yesterday using a store bought frozen bread dough and thought I can make dough in batches and freeze the loaves for later. LIGHT BULB! Thanks for putting this together! Hi, thanks for this great info. I have a question though… is it not possible to freeze dough after the second rise? I sell baked bread, but because of a second job I would really love to freeze it after the second rise and stick it straight into the oven from the freezer… This way I could make bread on my days off and just bake the night before. Christina – in my experience, the bread doesn’t turn out as well if you freeze after the second rise if you allow it to come to room temperature first (because it starts a third rise, essentially). However, if you go from second rise straight to oven, it might work. I haven’t tested this theory myself though. If you do, please let us know! I am wondering the same thing for making cinnamon rolls in advance. I usually do the second rise in the fridge overnight so that they can be ready first thing in the morning, and I don’t want to get up at 2 AM to pull them out of the freezer. Has anyone tried going from second rise to freezer straight to oven? Thanks! Thank you so much for explaining this. I have been hunting for the answer. Do I also add an extra 1/4 tsp per package of quick rising yeast to the bread dough because I am freezing the dough. I might be overthinking this, but can the method for freezing unbaked quick bread and muffin batter also be used for cake/cupcake batter? I see a mention of freezing baked cakes, but nothing about unbaked, and I agree with your final remark about it working best to freeze unbaked and get that nice fresh-baked taste! Hmmm… in theory, it would Rhyan, but I don’t think I’ve ever seen a recipe suggested cake/cupcake batter be frozen – only baked items. My best guess, is that it has to do with the leavening and lightness of cake batter, where muffin batter tends to be heavier anyway and likely to withstand the effects of freezing. I’m sorry if I missed it. I’m looking for how to bake the frozen banana bread batter. Do I need to freeze it the size I am going to bake it and then replace the frozen pucks back into the same container to bake? If I bake the fresh batter 350 for an hour what changes would I make to bake the frozen batter? I appreciate your help…and love your stuff! Hi Heidi! Yes, freeze in the size you plan on baking later. Then place the frozen bread back into the same container to bake. Nothing changes in the baking, other than adding 5-10 minutes in your time. Watch it though for browning, since all ovens are different! Sounds great. Thank you for your help. Following my Swiss mothers tradition, I bake16 doll shaped, sweet dough yeast bread, from one large dough ball (We call them gratiman). What would happen if i were to freeze the dough after the first rise, but before shaping the individual men? Im just not sure i can make room in my freezer till the little guys can chill enough to pack in a sealed bag, for future use. Any help is appreciated. Happy Santa Clause Day tomorrow! In theory your dough would thaw and start the second rise at the same time. If your recipe calls for shaping and then baking, I’d shape before freezing! Thank you so much for sharing your knowledge. I will just have to make freezer room. Love this information all in one place! Thank you! As a busy college student this article is going to be a huge time saver! I work in a bakery but we get all of our dough frozen, which gave me the idea that I could do it too, I just didn’t know how. I’m going to start with the pitas and then tackle the other breads. Thanks for all the tips! Hi Elena! I haven’t run into that issue myself. Hopefully someone else can chime in? I suspect your pan was aluminum? If so, the baking soda reacts with aluminum turning the dough grey/blue. Try putting them on parchment paper or use a non-reactive pan. Thanks for your post. Very helpful information for my dough recipes. I have a question concerning freezing drop cookie dough. I’ve read a bunch online about doing this and every post states you can bake the cookie dough straight from the freezer and get the same results as if baked when the cookie dough is made then baked. But I find the cookies from the freezer do not spread as well and sometime I end up with a rounder cookie instead of a nice disk that has spread in the oven. If I add more time to the baking it just browns the cookie more. The cookies bake normally at 350 for 15 minutes. The preference is to bake straight from the freezer so I don’t have to add thawing time. Any suggestions? Unfortunately Shirley, there’s no way around it because of the science of baking. If you want spread cookies, you’ll have to include thawing time… if you do drop cookies. You can do a roll of dough though, and cut off slices that are fairly large in the first place if you want a flatter cookie! Hello! I found this post just today so am coming to the party fashionably late! Ha ha! Not sure if you’re still open for questions but thought I’d give it a go. I am making a pretzel recipe I found on allrecipes.com (https://www.allrecipes.com/recipe/24272/buttery-soft-pretzels/?internalSource=hub%20recipe&referringContentType=search%20results&clickId=cardslot%203). Hope that’s ok to link here as it’s a lovely recipe. I would like to make the dough, let it rise, shape into pretzels, and then freeze. My question is regarding the baking soda bath….should I just skip that step altogether and if I do, will it affect the nice browning of the pretzel? And after removing from the freezer, what are the best steps to take to ensure a fresh baked flavor? I would sure appreciate any advice. 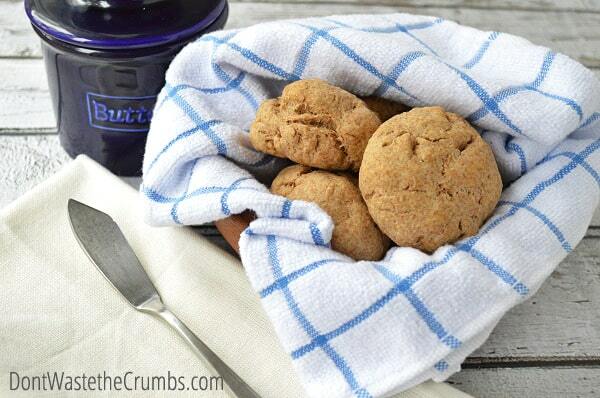 I’m so glad I found this post and the other recipes – going to start in on some of these next! That was most enlightening! My grandmother used to freeze unbaked bread but I never thought to ask her how she did it. Thanks for your help. Hi! I’ve recently begun making bread; no kneed sourdough, yeast breasts and English muffins. Years ago I used to buy frozen bread dough but it is a yeast bread. I would like to know if it is posssible to freeze soughdough. I have good sourdough starter but would like to make multiple loaves at one time, bake one and freeze the rest. Thank you, I look forward to expanding my new found baking skills. Hi Karen! I’m not entirely sure. I’ve seen refrigerating sourdough, but not freezing. Could you bake it all and freeze the loaves after their baked?